Demarco has teamed up with Dancehall icon Beenie Man to record a brand new single titled Ghetto Youths Floss. The single that is the debut project for his True Gift Entertainment imprint was released on Wednesday, November 4th. Both artistes participated in a video shoot for the single that took place in various parts of Kingston including Molynes Road and Lindsay Crescent last week. The video shoot was conducted under the direction of the True Gift Entertainment team which includes Damanic Green (Damaniac Visualz), Blaine Pingue (Social Yaad) and Gareth aka The Truth (ID Studios). The video for Ghetto Youths Floss is sponsored by Guinness Stout and will feature cameo appearances from popular Dancehall personalities including Boom Boom, Future Fambo, Raytid, Shelly Belly, Shakespeare and Lugu Lugu. “The video shoot was great, everything went according to plan the True Gift team did an excellent job. I have to big up Guinness for making it possible. I also have to big up Beenie Man for this collab and all the other artistes and the dancers who participated in the video shoot,” said Demarco. The video For Ghetto Youths Floss is scheduled to be released before the end of November. 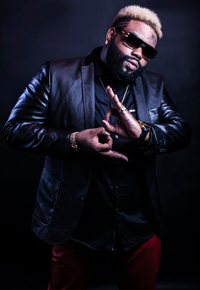 Demarco’s song called Who the Hell Cares on Chimney Records After Party rhythm is currently one of the hottest songs on the local Dancehall circuit. His recently released tribute to the late iconic dancer Gerald ‘Bogle’ Levy titled Pop Yuh Collar is also getting a lot of spins in the dancehalls.